Florida | Write to the Point! 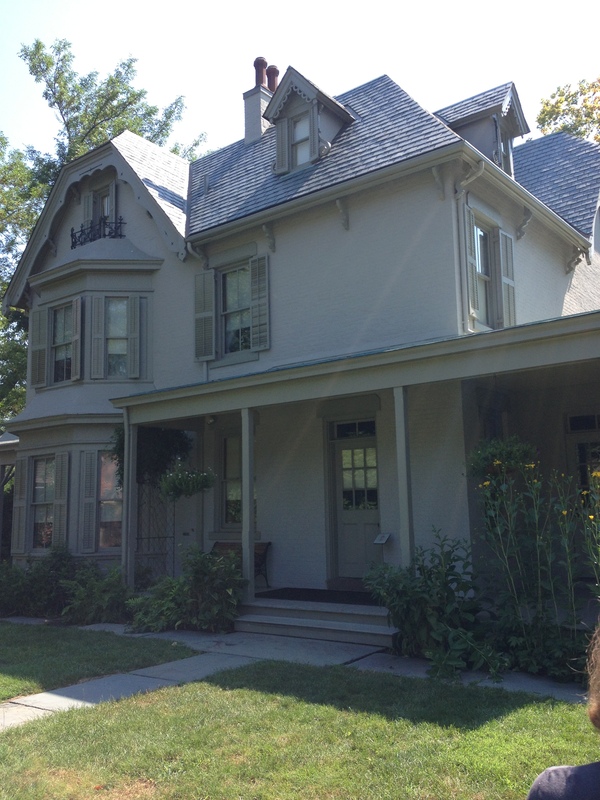 Harriet Beecher Stowe’s home on Forest Street in Hartford, Conn.
Harriet Beecher Stowe, born June 14, 1811, was always a balancer. From the day this great American novelist was born until she died on July 1, 1896, she was always searching for a way to balance her work with other important things. Whether it was finding a way to spend more time with her children, paint, or work on her now-world-famous novel Uncle Tom’s Cabin, Stowe always strived for a balance. She sought a way to do her best in anything and everything she did. This author is not only known for her book which changed the face of America forever, Uncle Tom’s Cabin, but other bestselling novels such as Oldtown Folks and The Minister’s Wooing. As most Americans probably know already, Uncle Tom’s Cabin expressed Stowe’s opposition to slavery. Not all people in Stowe’s time agreed with this view, however, and she became despised by many. This hatred never stopped her from writing. Stowe enjoyed the craft; she wrote her entire life, from childhood until her death. Stowe sometimes used writing as a way to escape her life when things got rough. Her beautiful Connecticut mansion wasn’t always a place of comfort as it is talked about. She lost more than one of her children at a young age and used her writing as a way to deal with the sadness. She enjoyed art almost as much as she enjoyed her writing. Her paintings are prominently displayed at her home in Hartford, Connecticut, where she moved with her husband and children in 1873. This extraordinary woman was not only the author of 30 books – one containing advice for homemakers – but a painter in her free time. She did most of this hobby painting while visiting her winter home in Mandarin, Florida. Connecticut became too cold for the Stowe family during the winter, so they spent the season in their Florida home. It’s obvious to visitors that Stowe enjoyed painting landscapes. The decorated hallways of her estate are lined with her art. All the way from portraits to a number of still life paintings, Stowe did it all. In the front parlor of her home, sophisticated pastels of garden life and country homes adorn the walls. The home also includes paintings by at least one of Stowe’s daughters, who were aspiring artists like their mother. The front parlor is the space where the Stowe’s guests would be entertained in the evenings. It is also the space where Stowe herself did most of her writing, at a small wooden desk tucked away in a corner. Her husband Calvin, a professor of religion, had his own study in the upstairs of their home, tucked between the bedrooms. Despite the fact that Stowe was wildly more successful than he, she was reduced to a microscopic desk in the family living room. Stowe made more than $1,000 on her first novel. In her time it was unusual for the woman of the house to make more money than the man, however Stowe’s husband was very supportive of her career. Stowe’s family spent time together in the back parlor of her home. This room included many extravagant decorations, including a painting given to Stowe by a duchess who was a big fan of Stowe’s work. Stowe was sometimes forced to give up time when she could be working on her art to pursue other things. After all, she did have seven children. This did not stop her from becoming a great American novelist, a role model for writers and an icon for all people. Stowe, who expertly balanced her work and busy family life in her marvelous Hartford home, will forever have an impact on our world.